SOUTH SHORE SEVEN-LUXURY AT THE WATERFRONT. 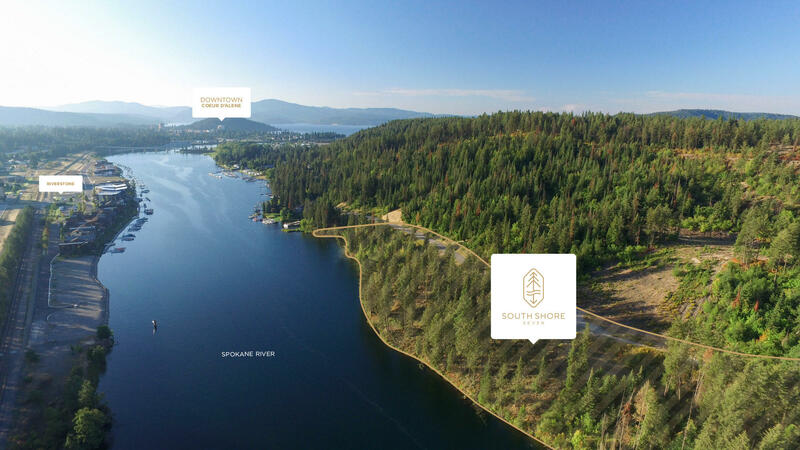 North Idaho's newest waterfront development is conveniently located on the south shore of the Spokane River, featuring the security of gated access and gorgeous city views across from Riverstone and Bellerive. SOUTH SHORE SEVEN consists of 10 waterfront lots, ranging in size from .3 to 1.0 acres, and from 119' to 214' of prime deep water frontage. Each lot has the ability for a private 2-slip boat dock. The architectural theme of SOUTH SHORE SEVEN is dedicated to a ''Craftsman Contemporary'' design philosophy, makingthis the perfect blend of modern elegance and year-round luxury lifestyle. Come see what all the excitement is about - only 3 lots remain!